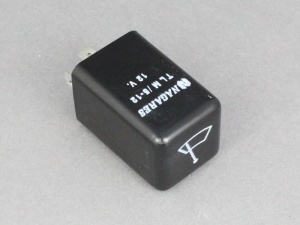 Universal 12V timer relay providing a 5 second delay for an intermittent wiper function. 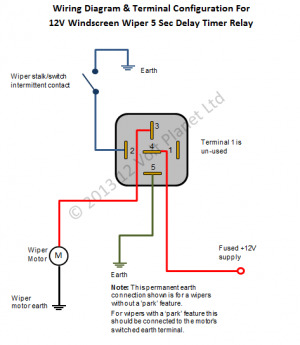 The timer is activated from the wiper switch 'intermittent' position and closes the relay once every 5 seconds, sending power to the wiper motor. 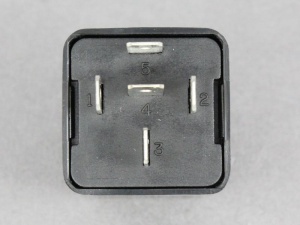 Incorporates an output for supplying +12V to the wiper motor park switch which shorts the motor at the end of the wipe cycle, bringing the blades to an immediate stop in the 'park' position. Earth for wipers without 'park' feature or switched earth for wipers with 'park' feature. Very keenly priced; does what it says on the tin so to speak. Worked first time in accordance with the wiring details, no problem. Have used before to adapt a classic car's wipers to delay. Recommended item. I was using this relay to add intermittent wipers to my Triumph Herald, as the old Lucas wiper motors on these cars have a permanent live and are switched on the negative side I couldn't wire as per the instructions. 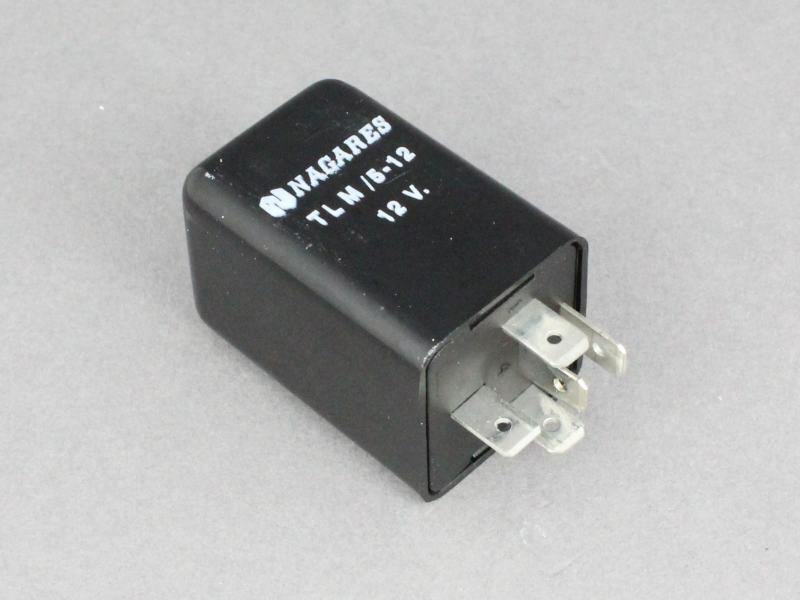 To overcome this I used the timer relay to switch a standard 4 pin relay and this works well. One other issue is that the relay could do with keeping the circuit open slightly longer as it's a little quick for these old wiper motors when initially turned on. These 2 minor issues aside it's a neat solution that works well and is reasonable priced compared to other similar solutions. I would happily recommend the product.